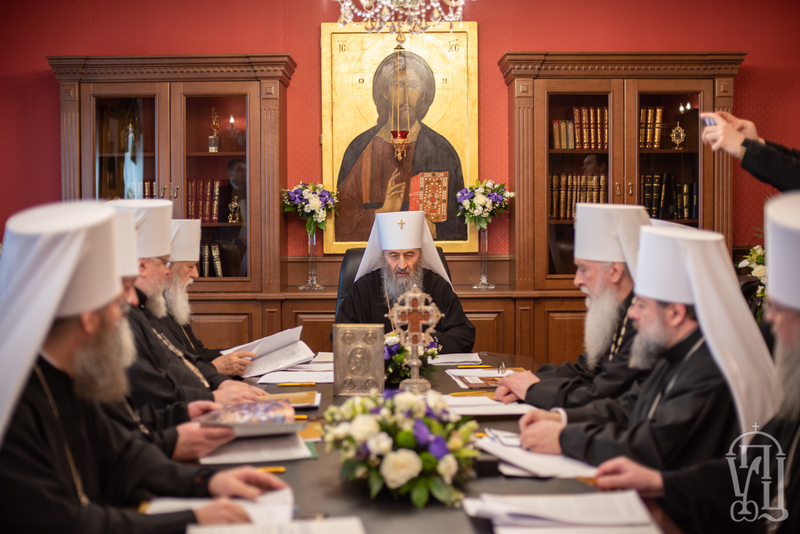 The Holy Synod of the UOC-Moscow Patriarchate, held today in Kyiv-Pechersk Lavra, elected three new bishops. This is reported by the Information Department of the UOC-MP. Archimandrite Amvrosiy (Vainahia) of the Kyiv Diocese, Vice-Rector of the Kyiv Theological Academy and the seminary for the educational work, was elected as Bishop of Zhuriv, Vicar of the Boryspil Diocese. The Holy Synod of the UOC-MP also dismissed the Vicar of the Khust Diocese and substituted Bishop Antoniy (Borovik). In his place, the members of the Synod appointed Archimandrite Symeon (Holubka) of the Khust Diocese. Until recently, Archimandrite Symeon was the Rector of the Symeon monastery in the city of Vynohradiv. Bishop Antoniy (Borovyk) was ordained in May 2008. On November 11, 2008, he was transferred to the See of Oleksandria and was conferred on the title of the Bishop of Oleksandria and Svitlovodsk. On December 20, 2012, the Synod dismissed Bishop Antoniy from the administration of the diocese. He was also retired from service. The Holy Dormition Pochayiv Lavra was identified as his permanent place of stay. However, on September 16, 2014, Bishop Antoniy was restored to the service and appointed as bishop of Uhol, Vicar of the Khust Diocese.